STAMFORD, Conn., December 4, 2018 /3BL Media/ – Dow and Keep America Beautiful announced they have awarded two $40,000 grants to organizations in Cobb County, Ga., and Lincoln, Neb. The grants will expand a recently launched Hefty® EnergyBag® program in Cobb County and help to establish a new start-up program in Lincoln. The program, which aligns with Dow’s 2025 Sustainability Goals, offers an innovative approach to diverting plastic waste that are not currently recycled – such as flexible films, foam to-go containers, plastic cups, straws and lids – from landfills by converting the materials into valuable resources. 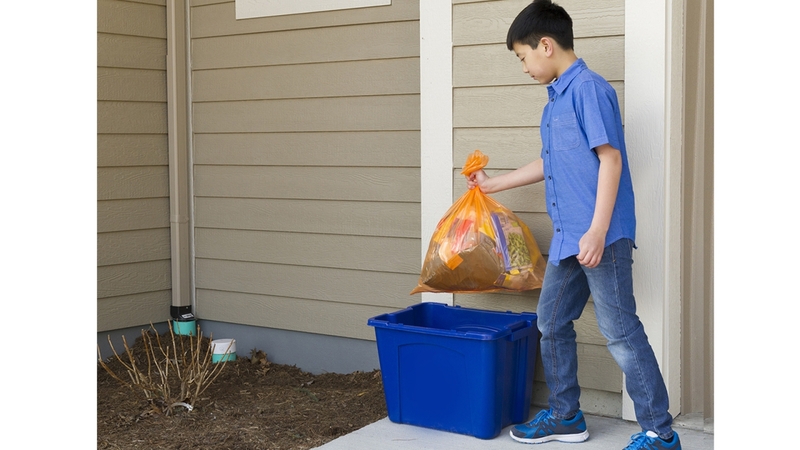 In January, Dow and Keep America Beautiful awarded Keep Cobb Beautiful a $50,000 grant to help establish the Hefty® EnergyBag® program in Cobb County, Ga., which launched in November 2018. Keep Cobb Beautiful, a local affiliate of Keep America Beautiful, currently collaborates with hauler American Disposal to collect the hard-to-recycle plastics and with WestRock Recycling to separate the distinctive Hefty® orange bags for transport to Nexus Fuels for conversion to low-sulfur fuels, oils and wax products. The additional grant funding will enable more local haulers and their residential customers to participate in the program. The $40,000 grant awarded to help establish a full-scale Hefty® EnergyBag® program in Lincoln, represents yet another community to launch in Nebraska. The Omaha metropolitan area was the first full-scale program to launch in October 2016. The greater Omaha area program expanded in 2017 to include the communities of Louisville, Ralston, Papillion, La Vista and Bellevue. The grant is being administered by Firstar Fiber, which has received the support of the City of Lincoln and haulers Uribes Refuse Services, Kurtzer Brothers Refuse, Zajicek Refuse Inc., D&D Refuse, Alley Cat Disposal & Recycling and Paragon Sanitation, to collaborate on the program that will launch in 2019, with additional support from the Lincoln Solid Waste and Recycling Association and the Nebraska Grocery Industry Association. Dow combines science and technology knowledge to develop premier materials science solutions that are essential to human progress. Dow has one of the strongest and broadest toolkits in the industry, with robust technology, asset integration, scale and competitive capabilities that enable it to address complex global issues. Dow’s market-driven, industry-leading portfolio of advanced materials, industrial intermediates, and plastics businesses deliver a broad range of differentiated technology-based products and solutions for customers in high-growth markets such as packaging, infrastructure, and consumer care. Dow is a subsidiary of DowDuPont (NYSE: DWDP), a holding company comprised of Dow and DuPont with the intent to form three strong, independent, publicly traded companies in agriculture, materials science and specialty sectors. More information can be found at corporate.dow.com.